Readers who missed the Morgan Library’s recent exhibition Lists: To-dos, Illustrated Inventories, Collected Thoughts, and Other Artists’ Enumerations from the Smithsonian’s Archives of American Art, which closed on October 2, can get their fix at Avery Library. Avery has hundreds of architects’ notebooks, sketchbooks, account books and other personal documents of the building trade. To name just one example, Avery Classics owns an account book kept by Martin E. Thompson (1796–1877), a New York architect who practiced in partnership with Ithiel Town. 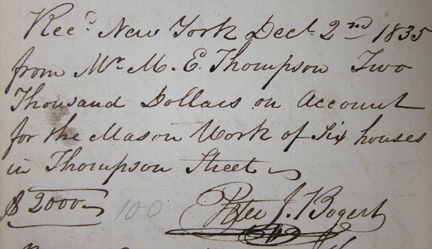 Pictured is a detail from the account book showing a payment receipt from 1835 for work completed on six houses on Thompson Street. Additional drawings and papers of Martin E. Thompson are kept in Drawings & Archives. This entry was posted in Avery Classics Collection on October 31, 2011 by Ted. 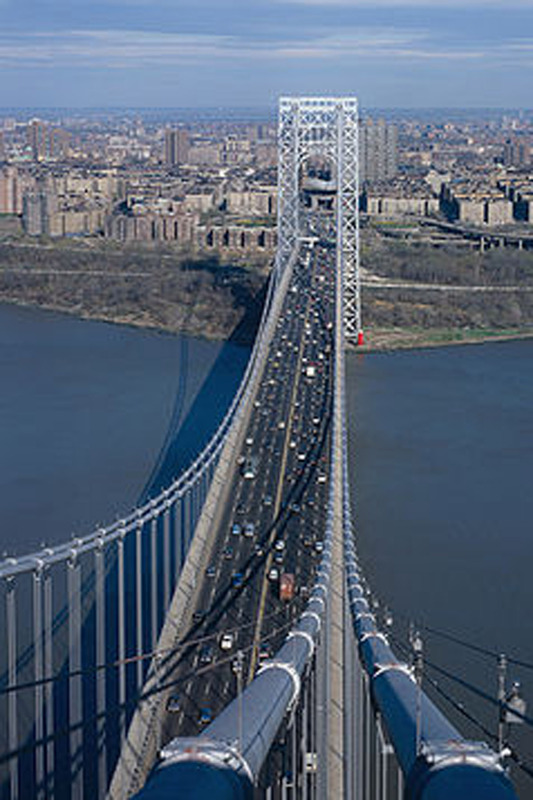 Happy 80th Birthday GW Bridge!! The George Washington Bridge between New Jersey and New York was dedicated 80 years ago yesterday on Oct. 24, 1931 and opened to traffic 80 years ago today on Oct. 25, 1931. Its chief engineer was Othmar Ammann. At the time it opened, it was the longest suspension bridge in the world. This entry was posted in Avery Classics Collection on October 25, 2011 by Ted. 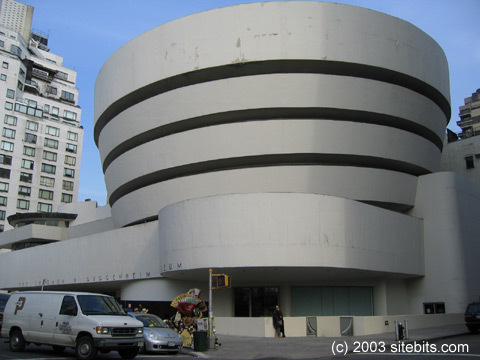 Today marks the public opening in 1959 of the Guggenheim Museum in NYC by Frank Lloyd Wright. Avery Library has original floor plans and sectionals for this important masterpiece in our Drawing and Archives Collection. This entry was posted in Drawings & Archives on October 21, 2011 by Ted. Today’s New York Times has an article by Diane Cardwell about Manhattan real estate booms and busts which uses brochures and marketing materials from the Avery Library New York Real Estate Brochure Collection. 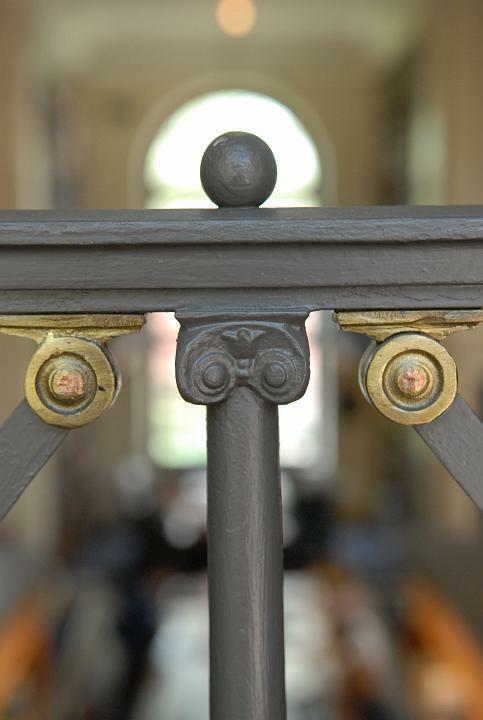 The collection was donated by Yale Robbins, Henry Robbins, and David Magier in 1986. It consists of over 9,200 advertising brochures, floor plans, price lists, and related materials that document residential and commercial real estate development in the five boroughs of New York and outlying vicinities from the 1920s to the 1970s. This entry was posted in Avery Classics Collection, Avery in the News, Research Services on October 18, 2011 by Ted. A year ago today, 33 miners were rescued from the San José copper and gold mine near Copiapó, Chile, after being trapped underground for 69 days. 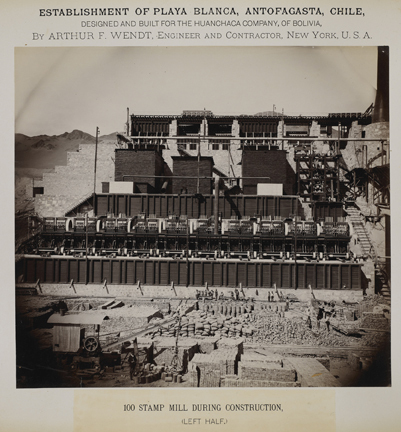 Avery Classics owns a rare and important document of the history of mining in Chile, a large presentation album of photographs of the establishment of Playa Blanca in Antofagasta. 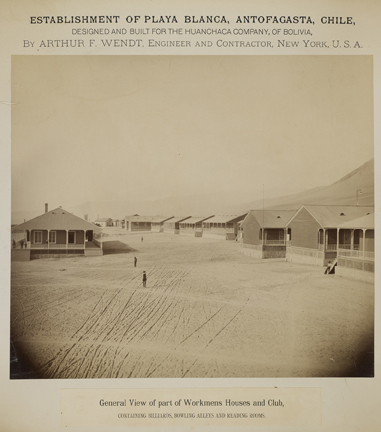 This company town was designed and built for the Huanchaca Company of Bolivia by Arthur F. Wendt, an engineer and contractor from New York. 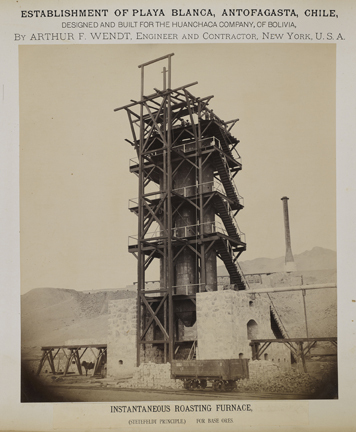 The photograph album includes views of the major industrial structures, as well as the houses and clubs built for the workmen. To consult the album, readers should follow the procedures outlined on the Avery Classics website. For the history of Playa Blanca, readers can also consult Huanchaca: el establecimiento industrial de Playa Blanca en Antofagasta by María Teresa Ahumada Manchot (Antofagasta, Chile: Ediciones Santos Ossa, 1999), available from Avery offsite. This entry was posted in Avery Classics Collection on October 12, 2011 by Ted. Friday’s NY Times had an article on Marion Mahony Griffin and Walter Burley Griffin by Eve Kahn mentioning the Grinnell College exhibition on view through Dec. 11 to which Avery Library Drawings & Archives has contributed original material. This entry was posted in Avery in the News, Avery on the Road, Drawings & Archives on October 10, 2011 by Ted. 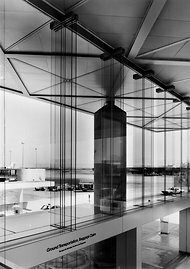 Photos of Terminal 6 at Kennedy International Airport by George Cserna appear in the New York Times today. Avery Library Drawing & Archives Collection holds these beautiful photos of I.M. Pei’s building which will be torn down by the end of this month. This entry was posted in Avery in the News, Drawings & Archives on October 7, 2011 by Ted. 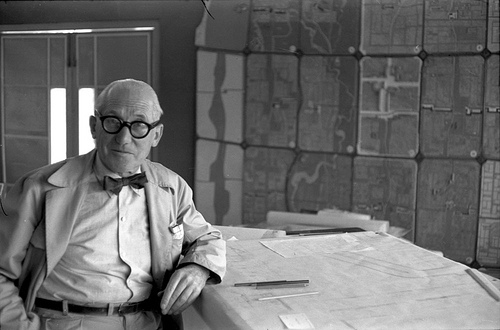 Happy Birthday to Le Corbusier (Oct. 6, 1887-Aug. 27, 1965). Avery Library Drawings & Archives has approx. 15 drawings executed by Le Corbusier as illustrations for lectures on architecture and city planning delivered at Columbia University in 1935 and 1961. This entry was posted in Drawings & Archives on October 6, 2011 by Ted. Beloved as a teacher in GSAPP during her days at Columbia, Lauretta Vinciarelli (1943-2011) was renowned in the architecture world for her spectacular watercolors of architectural spaces. Avery is fortunate to have this watercolor, donated to the Drawings and Archives in 1990 for the Avery Centennial exhibition. For an appreciation of her work, see this blog by Lebbeus Woods. This entry was posted in Drawings & Archives on October 4, 2011 by Ted.